If you’ve purchased a bottle of Vetiver Essential Oil without knowing much about it, you were probably pretty surprised the first time you cracked open the cap. 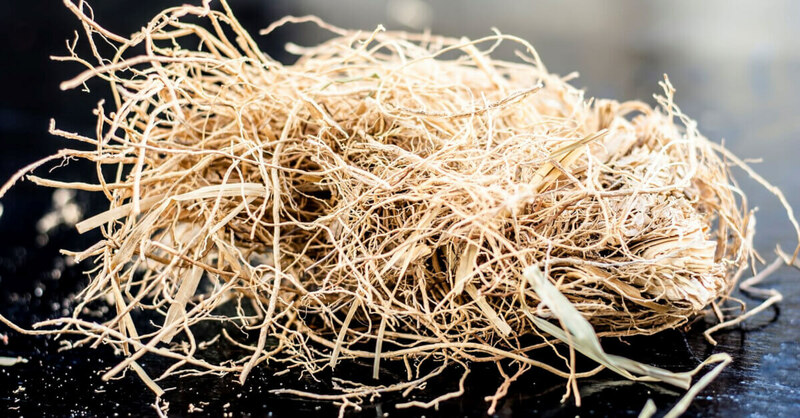 With just that very first whiff, you’re going to realize that Vetiver is nothing like your typical essential oil. Its consistency is thick like syrup, it has a unique goldish, brownish, greenish kind of hue, and the aroma? Well, it’s one of those divisive smells, like Patchouli or Blue Tansy. People either love it and can’t get enough…or, it goes straight into the pile of essential oils you can’t figure out what to do with. Either way, it’s hard to deny Vetiver’s incredibly relaxing and balancing properties. Historically, it’s been used for a variety of purposes; everything from personal fragrances to emotional issues to skin care routines can get an extra boost when Vetiver is added. So if you’re struggling to figure out how to include Vetiver in your life, hopefully, these suggestions will help. But first — the smell. Vetiver Essential Oil is steam distilled from the strong, intricate root systems of the Vetiveria zizanioides, an aromatic perennial grass. The oil has a scent that can be described in many different ways, which may be the reason many people disagree on how they feel about it. It has an intense aroma that is earthy, woodsy, smoky, and slightly sweet. Some like to compare it to the smell of a campfire, and others find it to be more herbaceous and reminiscent of damp forest soil. If you find that Vetiver isn’t particularly appealing to you, try blending with a citrus essential oil to help round out the smell, or maybe something floral if you find the aroma too earthy. Use it to promote healthy skin. For a fresh face, Vetiver is highly cleansing and excellent for overall skin health. It helps balance sebum production, which is great for both oily and dry skin struggling with blemishes, redness, or irritation . Its cooling abilities are useful for soothing skin that has been overexposed to the sun, dehydrated, or wind-chapped. To use, it’s as easy as adding a drop to your favorite face wash and cleansing as you normally would. 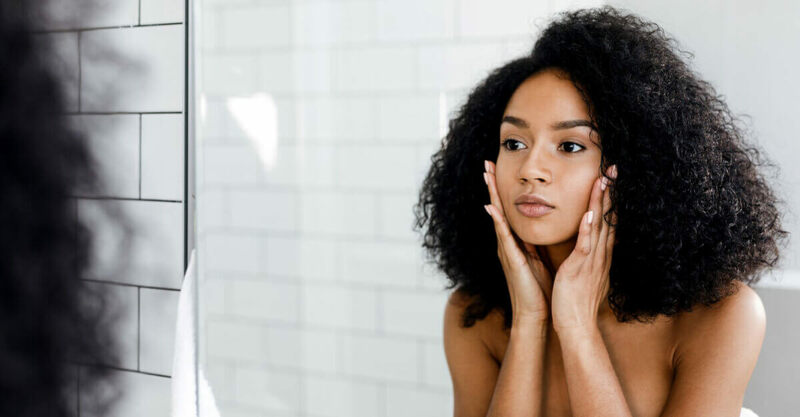 This seemingly tiny addition to your skincare routine can support a smooth and even-looking skin tone. For a lovely facial serum, try blending 3 drops each of Vetiver and Frankincense Frereana with 1 drop of Neroli in an ounce of your favorite carrier oil. Please keep in mind that we recommend a 1% dilution for facial applications and up to 3% for other areas of the body. Let it help lull you to sleep. Diffuse Vetiver about 30 minutes before going to bed to benefit from its deeply grounding and relaxing qualities. It’s perfect when you have a racing mind and are struggling to wind down. Plus, Vetiver is safe for young children, who may also benefit from a bit of relaxation support in the evenings. If you would rather passively diffuse Vetiver, add a drop or two to a cotton ball and set near your pillow. It helps promote positive thinking when negative feelings are bringing you down. In folklore medicine, Vetiver has been used to treat a variety of mental and emotional issues, including symptoms resulting from stress . Stress can reign supreme over our lives if we let it. Negative feelings, like anger and irritation, can be positively influenced by the calming and soothing properties of Vetiver . 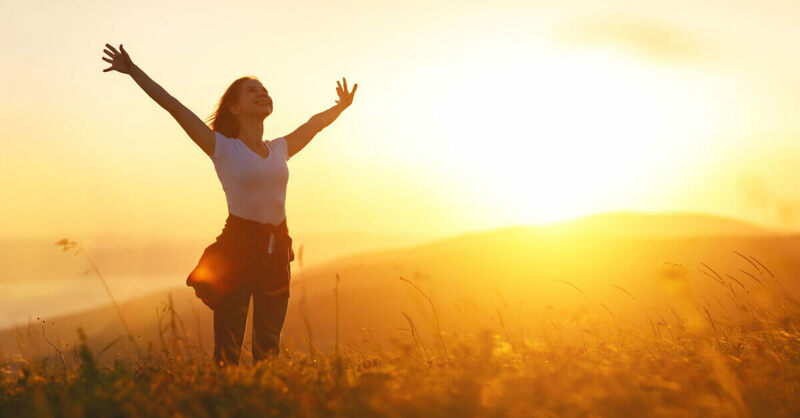 It can also help promote feelings of hope to people who feel disconnected and lack motivation. Try adding it to your personal aromatherapy inhaler and use it whenever negative thoughts begin to creep up. This is also a wonderful essential oil to include in a warm, relaxing bath. Blend it with other oils known for their relaxing qualities, like Ylang Ylang or Rose Absolute, to help wash away a stressful day. Don’t forget to add the oils with an emulsifier! Use as a carrier oil or body wash with the oils before adding it to your tub. Use it to help calm the mind before or during meditation. There are many essential oils that are fantastic to use during meditation practices, and Vetiver fits itself perfectly into that group. 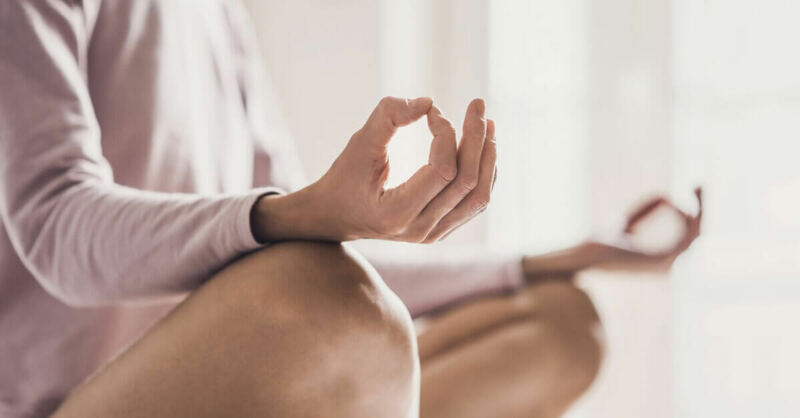 Because of its ability to calm, center, and ground the mind, it’s great to inhale while you’re settling yourself down for some quiet, introspective time with yourself. To learn more about Vetiver, check out our blog Everything You Need To Know About Using Vetiver Essential Oil. Lawless, J. (1995). The Illustrated Encyclopedia of Essential Oils (Rockport, MA: Element Books), 56-67. This is my all time favourite oil! I use it for sleep support and it ‘supports’ every time! Now I have other I know how to use it! Thank you plant therapy! Ordered it on a Spotlight offer, and recently started using it alone for my insomnia. It’s been wonderful, 3 night sleep . Now going to try it for the skin! I’ve been wanting to try this oil for a long time, especially to help with relaxation and sleep. I’m just afraid that I won’t like the smell, so I haven’t pulled the trigger yet! I know many people love patchouli, but I personally can’t stand it, so I’m afraid that I won’t like the earthy smell of vetiver. Does anyone who dislikes patchouli enjoy the smell of vetiver? Another great read! Thanks for the tips for rounding out the earthiness. I bought the vetiver to help my kiddo calm down, but was afraid the strong scent would be off-putting, so I’ll be testing it out with bergamot or orange. I’ll also be adding it to my tween’s facial cleansing routine. Thank you for sharing this blog post. I just purchased vetiver after reading this. I hope it helps with sleep and overwhelm! My mind races at night lately, it is hard to get to sleep and I also wake up many times in the night instantly thinking, before even fully waking up! Its the strangest thing. I could really use the calm relaxation due to my busy life and insomnia. Cant wait to try it!!! Can’t wait for this to arrive! I’ll keep it bedside for those nights I wake up at 3am with my brain racing…..
My first thought on Vetiver was…. it was disgusting. But I purchased it early in my journey to assist in sleep. Though now I have found other oils that are more helpful for my sleep I still have a place in my heart for Vetiver. I got into making my own soap and blended Vetiver with Buddha Wood and Amyris and its absolutely amazing. I will never live without this oil! I love it for helping me sleep. It works great and it’s really nice with lavender. A must have for me. I ordered Vetiver when it was the spotlight oil to try and diffused it for the first time last night. I immediately felt relaxed! Love the smell! Reminds me of a campfire and is so calming. Helps my littles sleep! Definately an oil to keep in the collection. Will need to try in my skin care routine. I will smell the Vetiver next time I’m in Meridian store. I am trying to see if I get to like this scent. It is one of my to do lists, to keep smelling something I am not sure about, so maybe I get to like it. I have experienced how great vetiver is for relaxation, but I did not know about it’s skin benefits. I’ll definitely try it out in my facial serum. Vetiver is the best! My go to sleep blend is vetiver, cedarwood and lavendar! I’ll have to try it on my face now. Thanks for the info! The best sleep oil there is! I purchased this SPOTLIGHT OIL OF THE WEEK with 15% off, and now I enjoy very restful nights. Thanks PT for your generosity! So glad I bought Vetiver, it’s great for skincare and I have diffused it in many blends. This is one I use a lot ! It has many uses and has a great smoky fragrance that blends well w many EO! I am so glad I found this blog. I wasn’t really sure what to do with it. I ordered some because I was told it smelled really good. At first I wasn’t that crazy about it, but once I diffused a couple drops with Lavender I enjoy it now. I bought this to help sleep, but man I can’t believe the other uses for this. 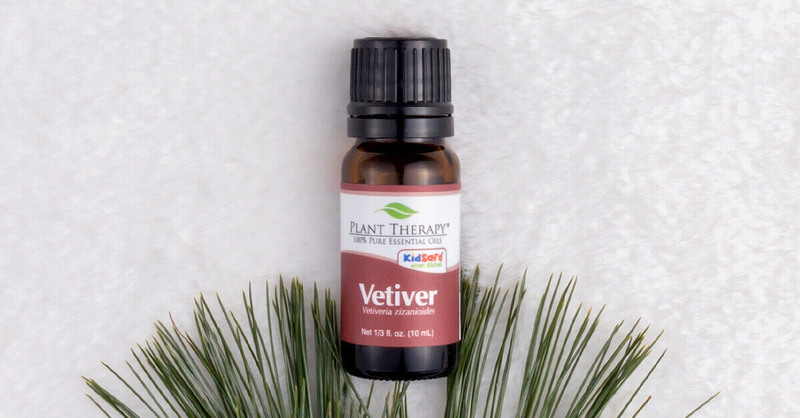 Vetiver definitely can help me with my aniexty/ depression in many ways I feel. I am going to start using at other times of the day instead of just bed . I’ve seen lots of good things about Vetiver & this just adds to it. Got to put this on my wishlist! Vetiver is my new favourite combined with lavender at bedtime! I’ve been reading a lot about Vetiver and finally took the plunge! I am so happy I did. The smell reminds me of easy summers from my childhood and both relaxes and makes me happy. I can see why the scent isn’t for everyone, but I’m loving its use! Thanks for this blog and sharing the different ways of using vetiver! Placed my order couple days ago, can’t wait to use it. I just bought this. Waiting to try it out. I use vetivier in my diffuser at night with a few drops of either lavander, lavadin or pink grapefrut. It is really relaxing. I love adding vetiver to a sleep blend of cedarwood, lavender and bergamot! Sound sleep every time! this is my favorite essential oil ever, I use it for sleep it’s so relaxing! I used it for the first time the other evening in my diffuser. Interesting scent. quite strong. I can’t say I loved it. I like the idea of combining it with cedarwood and lavender- I’ll give it another go. The first few times I used Vetiver I used 1 oil to blend with and the smell wasn’t that pleasant, now I use lavendar and clary sage the deep sleep I have is amazing. So, I tried adding just ONE drop of vetiver to my facial cleanser (about 4-6 ounces of cleanser?) like the article suggested, thinking I would probably barely notice a difference. Wow, my skin DOES feel smoother and more even-toned! And the scent is so grounding. I LOVE it! And who knew just one drop would actually make a difference, but it totally did!! Now to add it to my teen boys’ facial cleanser. =) Thanks, PT, for such practical, doable tips!! Thank you so much for sharing! We are so glad Vetiver helped!! Thank you for this info! I use it with Bergamot and Lavender for a good night’s sleep and it works wonders! I didn’t know about its usefulness for skin issues and will now be trying that out! I use Vetiver for sleep/calming. Vetiver is one oil I use nightly. Suffering from a chronic condition that causes ringing in my ears I use it on my neck and behind me ears when the ringing gets to be too much. It does help to calm down the ringing as well as has a sedative type or calm effect that eases me to sleep. As always you cannot go wrong with PT products. Vetiver is my number one go to for a good night sleep. I love the smoky smell and the calming effect it has. I use vetiver diluted in a roller ball on the back of my neck and my face before bed. I also use it in a body butter with frankincense, ylang ylang, and lavender for the bottom of my feet. I fall asleep quickly and sleep through the night waking up refreshed. Looking forward to trying the pillow spray, and possibly substituting the mandarin for the lavender in the body butter. Thank you for a well written blog. I am new to oils and just got Vetiver. Had a feeling by the description so would love it and I do!!!! The aroma is intoxicating and it helps me relax, evening aiding in sleep when diffused. Thank you for your spotlight oils!!! I love using vetiver for sleep, never knew I could use it for my face too! Thanks! This is one oil that i always recommend to parents getting into essential oils because it is such a life saver in our home around bed time. Calms my children down AND calms my nerves? Definetly a win in my book! I was unaware of these other uses and am now motivated to try it out in some facial recipes! Thanks again plant therapy!!! Love earthy scent. Sounds like an oil I might want to try! I am really looking forward to receiving my Vetiver and so glad that it was a spotlight deal! I have been having some really restless nights due to stress and anxiety and have heard so many rave reviews! I have diffused vetiver before. I am not a fan of the smell but after reading this, I am motivated to make use of it again. Hi, I just ordered this a day ago to diffuse on lava beads for my 8 year old son. Now wondering if that’s a possibility with it being thick? Love all the uses for it and hoping I can use it in this portable method! Thanks for sharing! Vetiver is one of my favorite oils. I happen to love the earthy, smoky scent. I created a blend that I call Rooted using equal parts vetiver, amyris, frankincense carteri, cedarwood Virginian, and juniper berry. I use it on a roller bottle on pulse points to help me relax. Now I need to look into adding vetiver to my face wash. I love PT Vetiver Oil. Good for relaxation and meditation. Highly recommended. I’ve been wondering what this oil was all about…thanks for the info! I made the pillow spray using Vetiver and I slept better than I have in weeks! I had to quit diffusing because we have an 18 year old kitty, but he does not get on the bed, so the spray is perfect! Thank you! How do you make the pillow spray?? Vetiver is one of my favorite smells! It’s so calming. I take the side of it smelling like a roasting marshmallows on a campfire but not in the annoying way, like when you need to wash your hair after sitting around a campfire, just in a very wonderful relaxing way. I’m glad to know that it’s good to ad to the skin routine as well. You can use Vetiver for ALL THE THINGS. Vetiver is my favorite oil, no question, and I love seeing it highlighted. Thank you PT! I know PT is mostly about aromatherapy, but I’m also very interested in natural perfumery. Vetiver is another basic oil to me because of how well it combines with and serves as an excellent fixative for many oils. I love it with Rose and orange sweet with a bit of patchouli in the mix. Many oils are a bit strange at first whiff; then you get to learn how nicely they play with others! Vetiver gets top marks from me. This oil hasn’t been on my radar but after reading this it should be. I am curious to try it for its calming properties and I love anything kidsafe. I’m getting out my Vetiver and using it tonight! Thank you for the awesome ideas on how to use this oil. I am new to EO and find it intimidating at times. I also like the tip of mixing it with citrus if I’m not pleased with the smell. That’s something that concerns me when purchasing a new oil. I love vetiver in my sleep blends. It is very versatile to add to many combinations I rotate through! Sounds interesting…I am always on the lookout for new ones to try. I’m a little scared off by the campfire smoke smell, though:-) But it’s always nice to have alternatives to lavender in case I want something that’s not so floral for relaxation. I might have to add it to my next order! Omg this is such a useful post. I have had vetiver for a long time but i wasn’t sure how to use it, except as a base note for my homemade perfumes. Occasionally I also make a rose bergamot vetiver blend, which smells lovely. But these are great ideas. I particularly love that tip on adding it to face washes, i may even try it with a cleanser now 🙂 but considering vetiver is a really thick, strong oil, would u still recommend 1% dilution? I’m looking forward to getting mine! I wanted it for skincare and after reading this I realize it can help with so much more! I had no idea vetiver had so many uses! I’m buying it today, I can’t live without it any longer! I’m excited to try diffusing it while I study! I bought this oil awhile back and haven’t used it yet. But after reading some of the blogs I think i will try it over my lavender to help me relax. The lavender helps but doesn’t seem to help relax me enough to fall asleep. Vetiver is one of my top 2 favorite scents ever! I just can’t get enough of it. Vetiver is the key oil that helped my boy fall asleep. He struggled with anxiety for years and couldn’t sleep. After adding vetiver to our sleep blend he slept soundly. Vetiver is an amazing oil! It is my favorite way to unwind after a long stressful day. 1 drop vetiver, 1 drop neroli in my diffusser and off to relaxation I go. I never knew it could help with skin, definitely going to try it. Thanks for this blog! So many wonderful ways to enjoy a wonderful oil! I love to add vetiver to my night serum. Not only is it good for my skin, it helps me sleep soundly! Vetiver is my go-to oil for sleep, but haven’t used it in skin care blends. I’m going to give it a try. Thanks for the informative article! I can’t wait to try these ideas for Vetiver. I am new to essential oils and just bought some recently. I know I want to blend it and create some custom fragrances for my body care products, but I didn’t know all of Vetiver’s potential aromatherapy uses! I haven’t used this one before but just bought it after realizing that it’s benefits are exactly what I need to add to my collection. Thank you! I keep reading about Vetiver, and I’m always wondering if I should buy it. I’m still not sure, but a I have a lot more information now than I did. I wonder if some of the grounding, relaxing effect has something to do with the earthy smell. I always feel more grounded and positive when I’m outside, which has to do with more than just smell, but smell is a powerful influence. Comments are so interesting. Planning to order vetiver and get started! Vetiver is absolutely a must have oil. The smoky smell really reminds me of a campfire. I appreciated learning more about it and uses for it besides sleep! And it is amazing for sleep. Thank you once again, Plant Therapy, for educating your consumers. Would love to be able to print these off to have as a reference. These are fabulous!! When I first opened my vetiver I did not care for the scent. But I diffused it and absolutely loved it. Now I enjoy the scent right out of the bottle even though it is a strong. I do not recall when I bought my first bottle but I have only been with PT for a year now. Vetiver is the very first oil that I have run out of. I mostly use it for relaxation and sleep. I had no idea it was also good for skin. Thanks for all the great information on my favorite essential oil. I am one of those that wasn’t sure I liked the smell at first. However, now that I have come to realize that it’s Vetiver that helps me sleep so well at night, I love the smell. I look forward to putting a drop or two at my pillow every night. Looking forward to trying some of the other suggestions too. Thank you SO MUCH for this post. Vetiver is hands down one of my favorite oils and I am THRILLED to have more ideas for using it!!! I love to blend vetiver and lavender in a roller bottle and use it right before bedtime to help me relax and sleep more soundly. Your vetiver is so beautiful. Helped me relieve occasional insomnia, it’s very grounding and soothing. I use it often to distress after a long day at work. Thanks for this information. The customer support you offer is wonderful! Count me as a lifelong customer. I use Vetiver for sleep/calming but I didn’t know it is so great for skin. I’ll have to try it with january’s OOTM! I just found out last night about Plant Therapy. Reading the blog is helping me to understand more about the different oils. Vetiver just might be on my first order. Vetiver is such a grounding oil and a little goes a LONG way! I’ve blended it with clary sage and diffused it before bedtime for the whole family. It’s lovely with bergamot too! Use Vetiver frequently for relaxation but did not know it was also useful for face serum and skin products. Good to know! Oh boy, my fave in sleep blends! It knocks me out with just a drop or two for a good, deep sleep! I’ll have to see how it does added to my skin care routine! I had no idea vetiver can be used for skin care. I love when PT does spotlight oils so we can all learn more about uses. Been using vetiver a long time for calming, relaxing. I love the smell, to me it’s ‘tangy’. Works wonders! I have an autistic teen and vetiver works to really calm her, like pushing a reset button. I diffuse with orange oil, it’s something everyone can enjoy. Didn’t know about skin benefits, will add some to my facial serum! Thanks PT for great info. I love Vetiver for sleep. Have not tried in my skin care but definitely going to. If you do not have this oil in your arsenal it is a must have. I just used diffused Vetiver last night for the first time, in my children’s room before bedtime. Everyone slept so well, we’ll definitely keep this one in our sleep arsenal! Vetiver has a very strong smell! 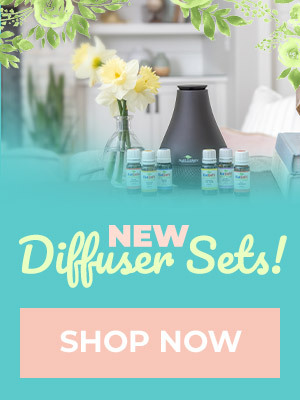 I thought I had already purchased Vetiver, but I can’t find it so I’m definitely taking advantage of the Spotlight offer! I’m going to use in my facial toner along with January OOTM! I can’t wait! I mix a couple of drops of Vetiver with Respir-Aid and diffuse at night when I’m having trouble breathing. It’s one of my favorite smells and it helps me sleep. I am excited to give this a try! I want to try using it with my scripture meditation. YES! I just bought this. I am a fan of the scent and find it helpful for sleeping. I will have to try it in a facial cleanser now. Can you still make the face serum if you don’t have Neroli? I love Veviter for sleep but am excited about the other uses! Vetiver is a godsend to my family. I have both an asperger’s child and a very active child. Vetiver has helped both on so many occasions. Thank you for the new ideas. I didn’t know it was good for skincare too. I am off to try it right now. I love Blue Tansy and Vetiver- can’t stand Patchouli. Thanks for the new ideas- can’t wait to try it with my facial care!! Going to have to try to create a blend to help me fall asleep. Good article. Love this oil for sleep. Definitely will try for the skin! This is a great oil. I diffuse it for my entire household. 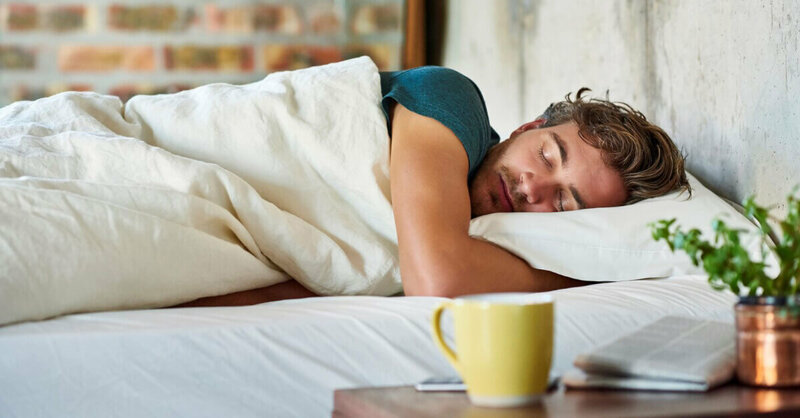 Vetiver is one of my favorites to diffuse for sleep. I didn’t know about the other uses and will be trying them out. Thank you. Just got mine in the mail. I’m super excited to try this oil. So many different ways to use this oil, really looking forward to it! I recently purchased vetiver and immediately fell in love. I mix it with lavender and rosemary to diffuse. It is such a lovely scent as one enters my home. I am pleased and amused that my Great Pyrenees likes it so well she will often stick her nose up to the diffuser. She has itchy skin as we work to regulate her thyroid. This blend seems to calm her down a bit. Thanks for this information. I have wanted to try Vetiver but thought it was only good for calming, etc. and I have several oils for that. It is good to know it is excellent for skin care. I will try it. I’ve used this in a calming blend for my busy bee husband. I diffused vetiver for the first time last night. I can’t believe how much it mellowed me out. But about 15 minutes after I stopped diffusing, I was wide awake and couldn’t sleep. Then I tossed and turned with crazy dreams all night. I diffused 1 drop vetiver with 2 drops lavender. I will try just vetiver tonight. Vetiver is my go-to oil when I have trouble falling and staying asleep. Works like a charm and leaves me drooling every time! It definitely lives up to its sedative properties! This is one of my favourites, just ordered my second bottle. Use it for better sleeping, great in a face serum and love to diffuse it with Orange or Lemon or just by itself ! So happy this blog post came up! I got a bottle because I herd it was a good one to have thrn only later I didn’t realize what for. Will be passively diffusing tonight! I use this on my son for his ADHD. It really helps him focus better and not bounce off the walls. Love the smell. It’s really relaxing. I bought vetiver for my anxiety. I cant wait to try it in my face wash as well. Thanks for the suggestions! One of my absolute favorite oils for sleep and stress relief. I keep all of my oils in a fridge, and the only downside to one this viscous is it takes a while to warm up enough to come out of the orifice reducer. Just remember to pull it out a good 10 minutes in advance if you keep it in the fridge, too! Lovely oil. Thank you for the blog. I just got my Vetiver in the mail. I am looking forward to diffusing it tonight. Love diffusing vetiver for sleep! Didn’t know I could use for skin care!? How awesome! Thank you! I recently bought Vetiver and haven’t been too sure what to do with it. Now I have some great ideas to incorporate this unique oil into my routine. I love Vetiver. It’s nice to learn more uses for it, other than sleep. Thank you for this great article. I’ve always used Vetiver for sleep. It is only now that I found out about more of its uses. Thanks for this! I have loved Vetiver for so long. Must be because I need grounding. It is especially wonderful combined with rose. It is an oil I simply cannot do without. It is great as a fixative or on its own. I just received vetiver today and love the smell! I will diffuse tonight for sleep. 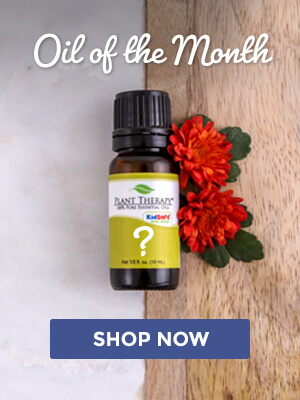 Thank you for giving us ideas with the oils of the week! I love vetiver and can’t wait to make the recipes mentioned in this blog! I just made the Pillow spray, from the Live with Retha. Smells really good! Can’t wait to use it tonight! This is one of my favorite oils for sleep. I am excited to use it for emotional support and grounding. Love Vetiver! Can’t wait to make a face serum! Thanks PT! I just got this oil and I really need to break it out to use. 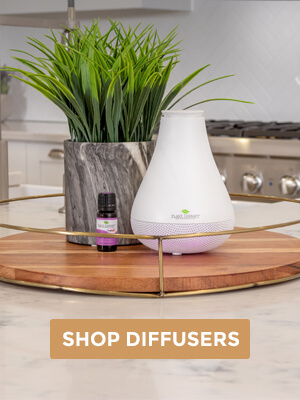 It seems like it will be so beneficial in our house, we really need diffusers. Thank you so much for the information. I only used vetiver for sleep, it’s good for skin care?!?!?! Heck yea! Love this oil! IKR!! I can’t wait to add this to my skin routine. Really excited to try this one out. Have heard great things about it. Thanks for the tips — will probably try it out diffusing during meditation first. It is such a special powerful oil. Our family use this a lot for sleep or relaxation. Vetiver + amyris is one of my child’s favorite sleep blend, after Nighty Night. My other child likes Hustle & Bustle, another blend with vetiver. I cannot wait to receive my vetiver! I am excited to try it in my face wash. Hoping I love the smell.